The Quick Connect Bevel System is used for Snap Tight Mats and General Purpose Mats. 36" x 2.5" male / female 2.5 lbs. 40" x 2.5" male / female beveled2.7 lbs. 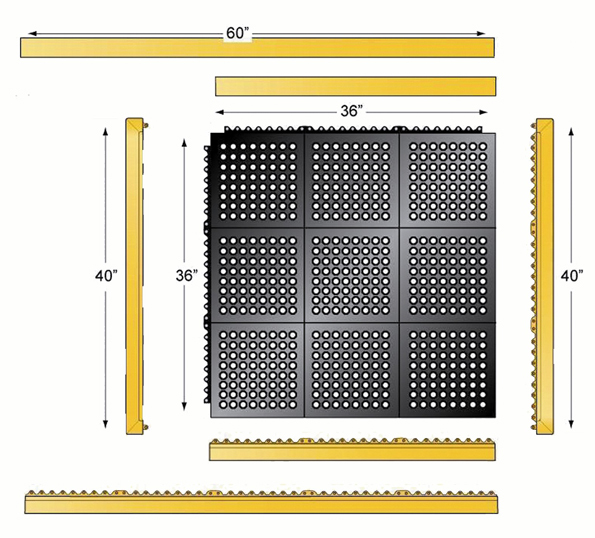 60" x 2.5" male / female 4 lbs. 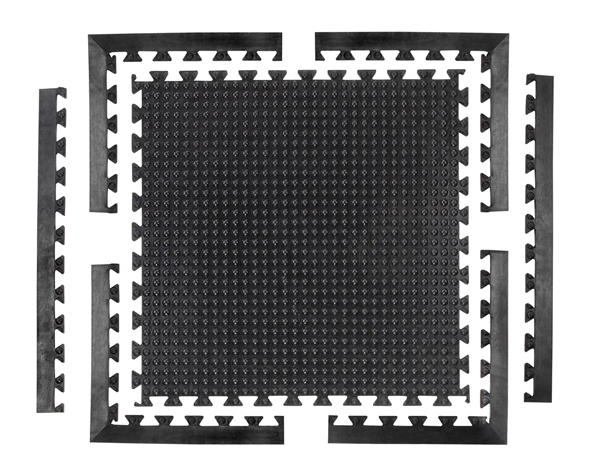 The Easy Tile Corners and Beveled Edges are used for 16" x 16' Easy Tile Modular Ring and Solid Mats. 16" x 2" x 3/4" [L x W x H]2 lbs. 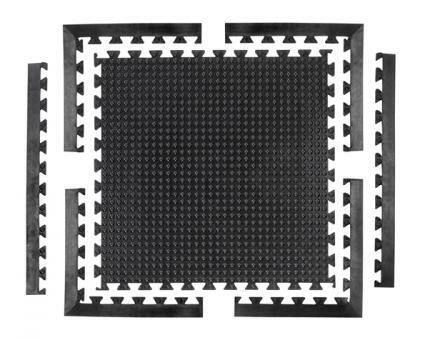 10" x 10" x 3/4" [L x W x H]1 lbs. 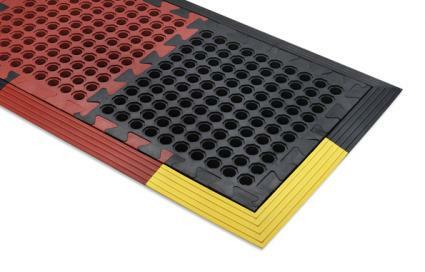 The Bubble Mat Modular Corners and Beveled Edges are used for the Bubble Mat Modular Solid and Drain Mats. 36" x 2" x 3/4" [L x W x H]2 lbs. 20" x 20" x 3/4" [L x W x H]2 lbs.